Clean water is essential to every habit on earth, making water quality management a key component of many environmental jobs. 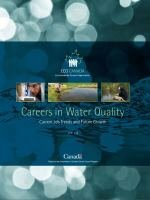 This report explores what it’s like to be part of Canada’s dynamic water quality workforce, examining everything from common occupations and employer industries, to skills and education requirements. Read this resource to get started in the field. 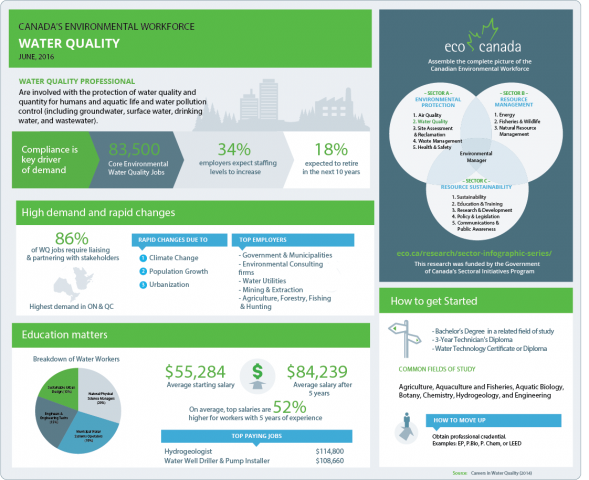 Key occupations: What are the career options in water quality?